Co-Chair TEACH Program: 2015-16 till now. Multi District President Elect Training Seminar (PETS) of District 3011, Delhi, India and District 3292, Nepal & Bhutan held at Soaltee Crowne Plaza on 19-20 April 2019. 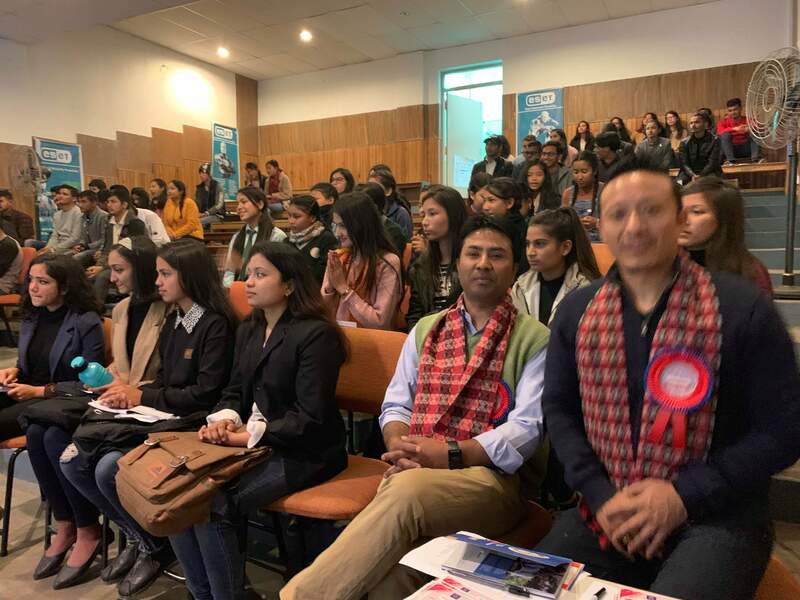 President Elect Rtn Surendra Shrestha and CP/PP Rtn Anil Shrestha as Assistant Governor 2019-20 Zone 7 Attended the program on both days. Rotary E-Club of District 3292, Nepal with Sponsored Rotaract Club of Kathmandu Metropolis conducted Joint meeting on 16 March 2019 on occasion of Rotaract Week 2019 Celebration. President Rtn Ummeed Shrestha and Rtr Saniya Giri called meeting to order respectively. – Welcomed DIR Itr Milan Raj Paswan & DS Itr Shreenu Magaju in the Joint Club Meeting. – Wish everyone in the celebration of the Rotaract Week 2019. – Rtn. Kusum Tamang Shared information about the campaign Against Child Sexual Abuse project. – Past Rotaracter Nilima Raut shared her experiences of Rotaract & Professional Career via Skype Live. She is in USA at the moment and has also been crowned Miss Rotasia. She shared her experience as a Rotaractor, how it opened avenues for her and how it has helped her build her skills wherever she has gone. 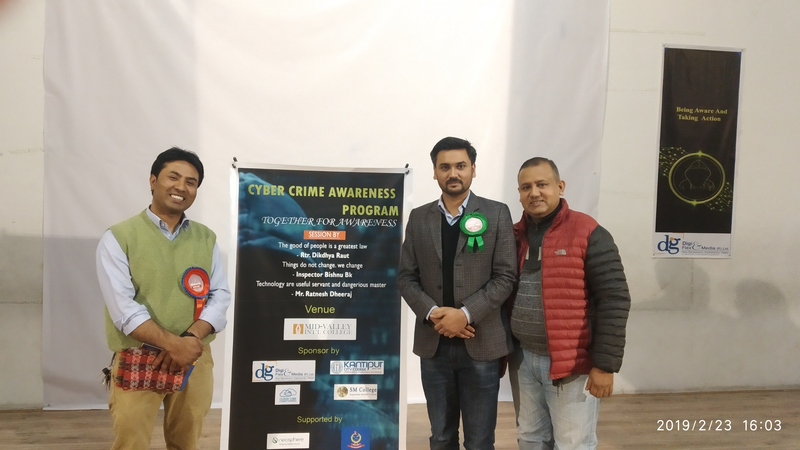 Cyber Crime Awareness Program (Together for Awareness) organised by Rotaract Club of Kathmandu Metropolis. 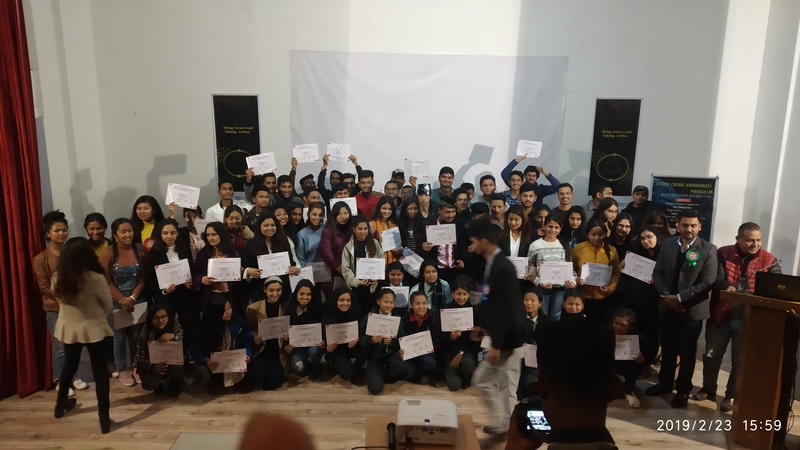 We would like to congratulate RC of Kathmandu Metropolis Team for successfully conducting the program and created awareness to the youngsters and also like to thank the venue sponser Mid-Vally INTL College, sponsors Digi Flex media (P) Ltd, Kantipur city college, Cloud Link and SM College, supported by Nepal Police Neo Sphere and Nepal Police. From Rotary E-Club President Rtn. Ummeed Shrestha and Club Admin Rtn. Rabindra Maharjan has participated the program. 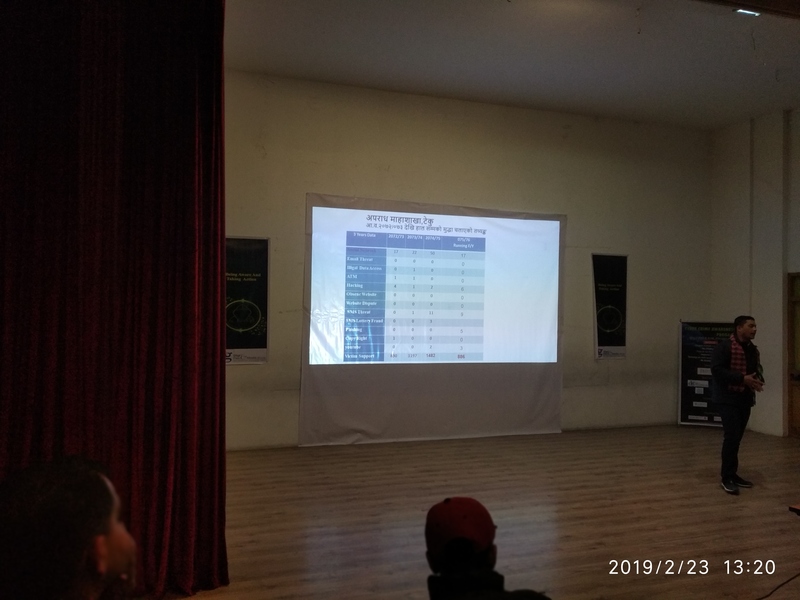 On 16 Feb 2019, the Club Conducted 4th Club Assembly to review seven months planned Programs and Activities. All Club Directors presented goal achieved status and progress activities status to Assistant Governor Rtn Man Bahadur Budamagar. Educational Tour And Fellowship Picnic of Shree Bhanodaya Primary School, Sano Gau Lalitpur. Rotary E-Club of District 3292, Nepal has been supporting Shree Bhanodaya Primary School, Sanogau, Lalitpur under Rotary Literacy Mission-TEACH programs since last Year. Providing My School Bags to School Students Jointly with Rotary Club of Himalaya Patan. On 4 Jan 2019, the School Organized Educational Tour and Fellowship Picnic at Sanga Mahadevsthan and the Club supported the program. Students from Nursary, KG , Grade 1 to Grade 5, School Management Committee Members, Teachers and Parents participated. Current Engagements — Ginger Assurance Pvt ltd. -­‐ Freelance Travel & Adventure Photographer, — Film Maker & Travel Writer. -­‐ Oﬃcial Brand Ambassador for Pentax in Nepal — Many More. Rotary clubs that achieve the goals listed in the citation brochure by the end of the Rotary year will earn a citation. All activities need to be completed, reported, and reflected in the Rotary database by 30 June. RI President Ian H.S. Riseley Awarded 2017-18 Rotary Citation to Rotary E-Club of District 3292, Nepal. Congratulations to President 2017-18 Rtn Yugal Bajracharya, His Board of Directors and club members on this achievement. “Deusi Bhailo” Fellowship Program with Rotaract Club of Kathmandu Metropolis. Fund Raising Fellowship ” Deusi Bhailo” program for Rotaractors on occasion of Tihar Festival was organized by Rotary E-Club of District 3292, Nepal on 8 Nov 2018 at Krystal Food Café, Sankhamul. The Fund will be used for several projects by Rotaract Club of Kathmandu Metropolis. During the fellowship program Rotaractors performed Cultural Program, Dances, Poem and made Mandala with Rotary and Rotaract. Rotarians, Spouses, Rotaractors, Rota Kids enjoyed the program, witness the cultural dance and had good interactive games. 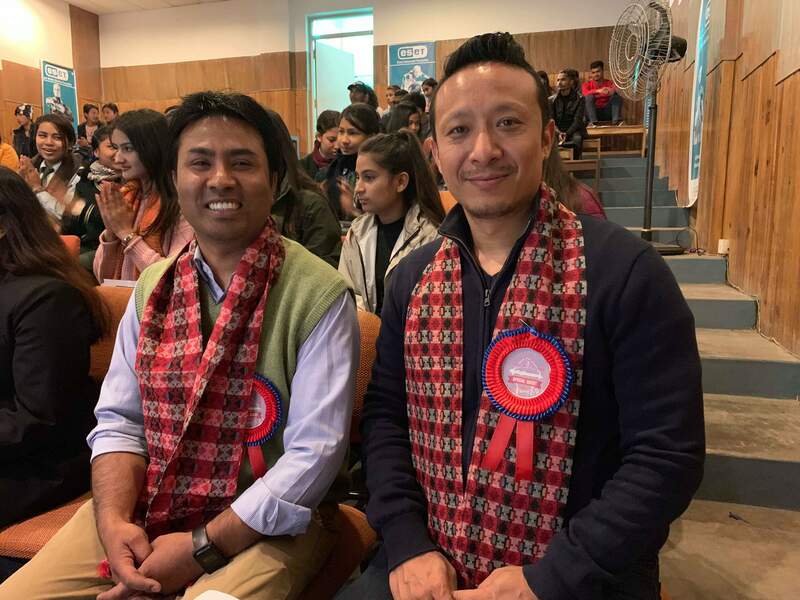 Rtn Yugal Bajracharya, Rtn .Mahesh Bajracharya, Rtn .Ummeed Shrestha participated carnival organized by TRIFC along with Bellevue Rotary Club,USA and Rotaract Club Dhulihel at Special Education and Rehabilitation Center, Chapagaun on Nov 3rd, 2018. Photo Credit: Rotaract club of Dhulikhel.